It’s all too much for someone to handle. My mother is not making my life easy at all, I’m on edge constantly because of the threat, and the upcoming trial makes me want to puke. The only reason I’m sane right now, is because of Adam. He is my rock, my protector, my everything. I want to throw my hands in the air and give up, but I don’t. Adam is the reason for my fight. He makes me want to be strong. I couldn’t wait to read this book. I read Picking Up The Pieces and it kind of leaves you hanging at the end. 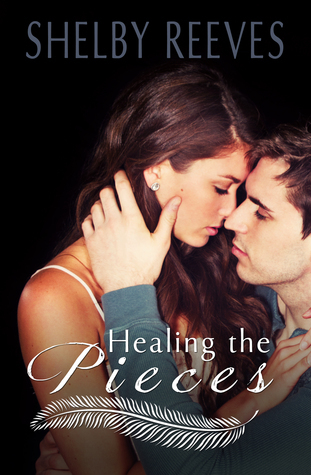 This book picks up where Picking Up The Pieces ends. I couldn’t put this book down. Your immediately drawn right back into the characters and the emotions. I cried, laugh and got angry but in the end it was well worth all the emotions. I love how Shelby not only writes the POV from the main characters but we get to see into the supporting characters. I love Adam how he supports Kaylee in everything and being a daddy to the twins. My heart breaks for Kaylee for all she has been through. I have a love/hate for Rylee. I hate him for what he has done but love him for trying to do the right thing. I wanted to kill Alexis at times. She has a good thing going with Brad but I can feel her for being torn. I love Ben and I hope we see him around in other books. He is so sweet and I love how he ask Alexis to prom. I think I fall in love with Ethan a little more everytime he opens up. I mean he is a man in the military! That’s hot by itself. I can’t wait to read to see what/where this story goes. Shelby you have written another beautiful story.